To view this week's bulletin, click here. 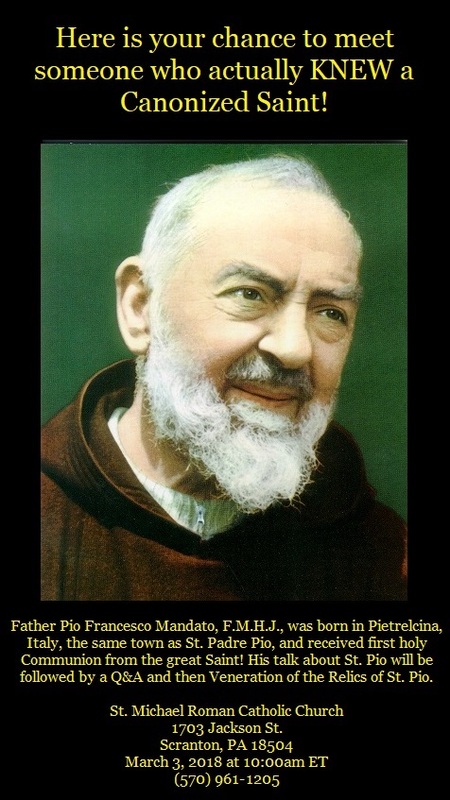 St. Michael Parish in Scranton, PA (also an FSSP apostolate) is hosting a talk this coming Saturday, March 3rd 2018 about St. Pio of Pietrelcina by a priest who actually knew him. This is an excellent opportunity to learn more about this great Saint!